I grew up on pork, as did both my parents, though by the time my parents met and got married their families were no longer raising pigs. Dad’s family raised pigs when he was younger and did the butchering at Thanksgiving. They would salt the meat down for six weeks and then hang it for up to nine months. They continued raising pigs until the early 1950s when Grandma made Grandpa quit after a new church when up behind them and she didn’t want the pigs in front of their church. Roasted ham is still important to our family and integral to our Easter celebration. 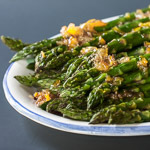 Mom always glazed it with a brown sugar and mustard sauce and served with green beans, country-style mashed potatoes, a relish tray with pickles, olives, pickled beets, and deviled eggs, and some rolls or biscuits. It was a simple meal that we always looked forward to, and one that I still enjoy. 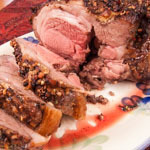 I developed this recipe using maple syrup, brown sugar, whiskey, and brown mustard for a bone-in ham portion. The ham came with part of the skin still on, and you can leave it on for roasting or remove it, that’s a matter of preference. I like to roast with it on because the layer of fat and skin keeps the meat moist, but not wet. It also lends a little bit of smokiness to the flavor. Whether you leave it on or remove it, score the fat or the meat so that the basting juices can run over the meat. Serves: Serves 12 or more. Place the ham on the rack in the roasting pan and rub it down with the olive oil. Score the surface in a diamond pattern about 1/2 to 3/4-inches (1.25 to 1.9 cm) deep. Place the peppercorns at the corners of the diamonds. Insert the meat thermometer into the deepest part of the ham, not touching the bone. Cover the top of the ham with foil. Roast in the preheated oven. 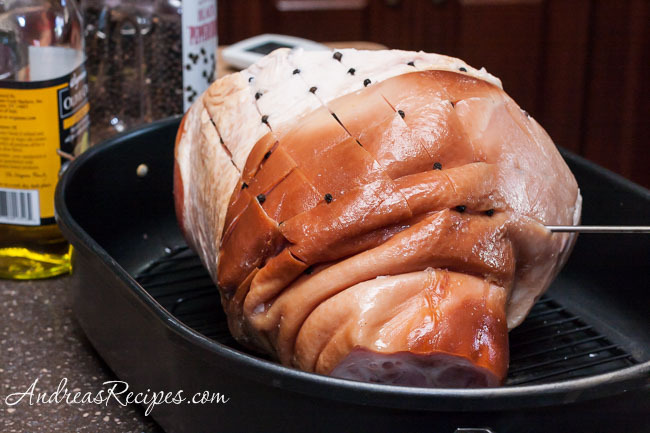 Baste the ham with some of the glaze when the temperature reaches 120° F/49° C and place the foil back on top. Continue cooking the ham until the temperatures reaches 148° F/64° C, about 3-4 hours total. Remove it from the oven and allow it to rest, covered, for 10 minutes. If roasted with the skin on, remove it and the top layer of fat before slicing. Serve with remaining glaze on the side. GLAZE: While the ham cooks, stir the maple syrup, brown sugar, whiskey, and mustard and cook in the small saucepan over medium heat until it starts to boil. 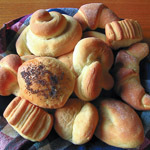 Reduce heat to low and continue cooking until the glaze reduces by one-third. Remove from heat and set aside. 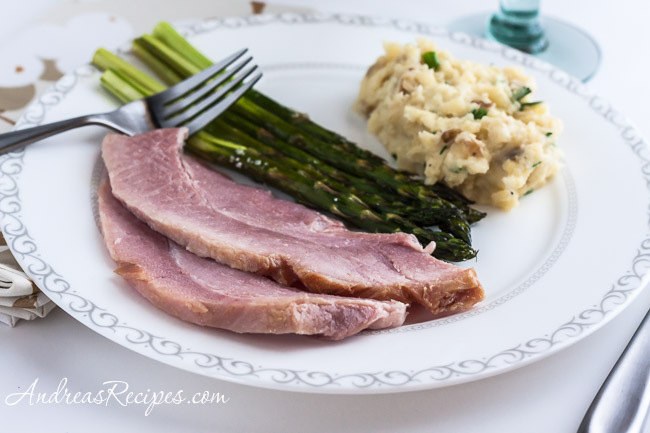 If you prefer to have a spiral sliced ham, you can still use the glaze, just follow the directions for reheating the meat, discard the sauce packet that comes with it, and use the maple whiskey glaze instead. Happy Easter. Is this a fresh ham from the butcher or a cured ham that you ordered. Hi Mia. This was a smoked ham.